Upgrade your current office setting or provide a boost to your existing cloud computing system with a powerful and compact HP Thin Client. 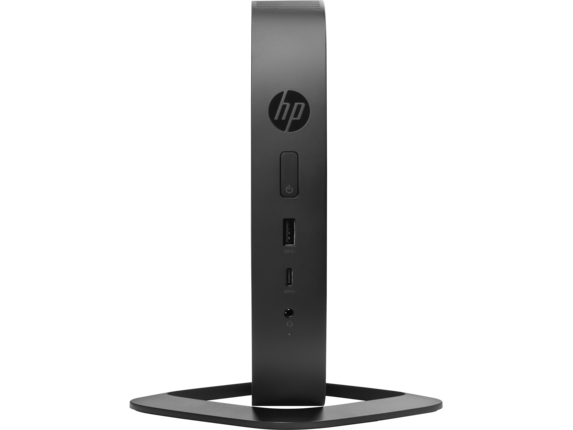 The HP t530 is a standout from our line of network-ready thin clients. It offers a sleek design and versatile platform for any workspace looking to make the leap into serious cloud computing. Designed to fortify your office against any major updates or changes in technology, the t530 is easy to fit seamlessly into any setting or workflow. You can experience the consistent computing and graphics power you expect from a PC, but with a slim alternative that helps you shift many of the typical burdens of office computing elsewhere. Why force yourself to deal with the hassle of additional logistics to manage or the inevitable workspace clutter from typical business solutions? Whether the more standard system you’re currently using is too much of this or too little of that, you’ll find a t530 that’s suited for your needs. 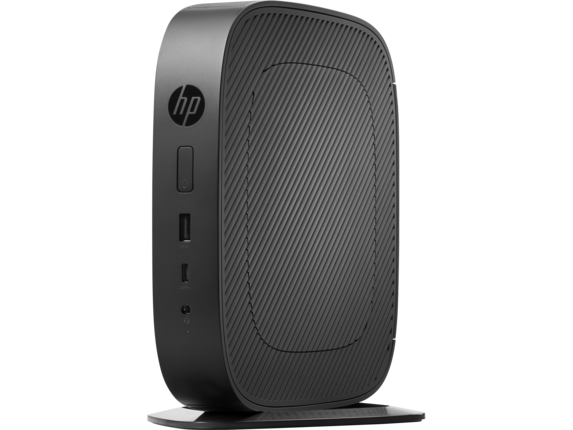 With HP’s line of thin clients comes access to a truly extensive range of features and plenty of options to customize your build for whatever your profession throws at you. Equipped with a potent AMD GX-215JC Dual-Core APU and AMD Radeon™ R2E Graphics, the t530 is also surprisingly customizable across the range. Need a lightweight solution that you can easily deploy across a large business? The t530’s starting model offers an affordable point of entry and sets the baseline for the range with 4GB of DDR4-1866 SDRAM and an 8GB MLC flash memory hard drive. Are you looking for a solution with a little more power? Pick from models with up to 32GB MLC flash memory. Paired with the t530’s powerful processor and graphics outlay, that’s everything you need to keep up with the most demanding tasks. You can even upgrade your operating system to the industry-leading power of Windows 10 IoT Enterprise for Thin Clients. Take some extra weight off your shoulders with a client OS that features familiar Windows 10 Enterprise management and development tools. Pair your purchase with an affordable and sleek HP Business Slim Smartcard Keyboard that complements your thin client. In addition to having a full keyboard at your disposal, you get the extra convenience of a built-in smartcard reader. Do you need the opportunity to go mobile in your profession? While the t530 is equipped with a network port, it also comes with a built-in Wi-Fi adaptor with Bluetooth that ensures you’re never tied down to one spot. Updating an out-of-date office or starting a new one that can stand the test of time is a challenge. HP thin clients are built with both today and tomorrow foremost in mind. 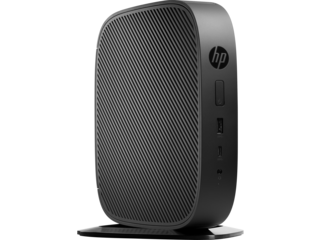 To ensure durability, HP’s t530 Thin Client is designed to be more than just your connection to easy cloud computing. It’s a fully functional platform suitable for any scale of business, and the perfect tool for efficient expansion. Clear space and simplify your routine without making any sacrifices. Plus, you can keep your space whisper quiet thanks to its fanless, solid-state design. Want more space for a totally streamlined office space? The t530 can be mounted discreetly on the back of your compatible HP Z display—or wherever else!—by using the ergonomic HP Thin Client Mount Kit. And if you’re at all concerned about how to integrate or adapt with your existing fleet of peripherals, the t530 has got you covered here, too. Stay ahead of short- and long-term technology shifts with a laptop that sports a suite of front port options including 3 USB ports—a single 3.1 Gen 1 and 2 USB 2.0—alongside a single high transfer rate USB 3.1 Type-C™ Gen 1. Need even more ways to hook up your accessories? Simply flip the client over to find 2 Display Ports, 1 configurable port, and 4 additional USB ports (2 USB 3.1 Gen 1 and 2 USB 2.0). Take your office into the future with the surprising power and careful design of an HP Thin Client.